Starring: Rachel Weisz, Mark Ruffalo, Adrien Brody, Rinko Kikuchi, Robbie Coltrane, Maximilian Schell, Max Records, Zachary Gordon, Andy Nyman, Joseph Gordon-Levitt. 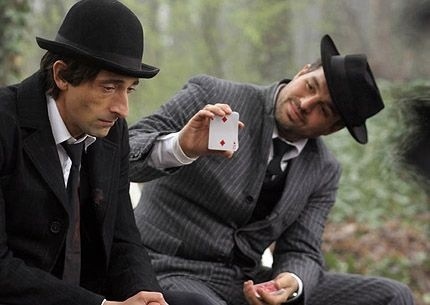 Following on from his modern noir and impressive directorial debut “Brick” in 2005, director Rian Johnson faced the tricky second feature syndrome. After a three year wait he delivered this… another convoluted tale, but with altogether different results. 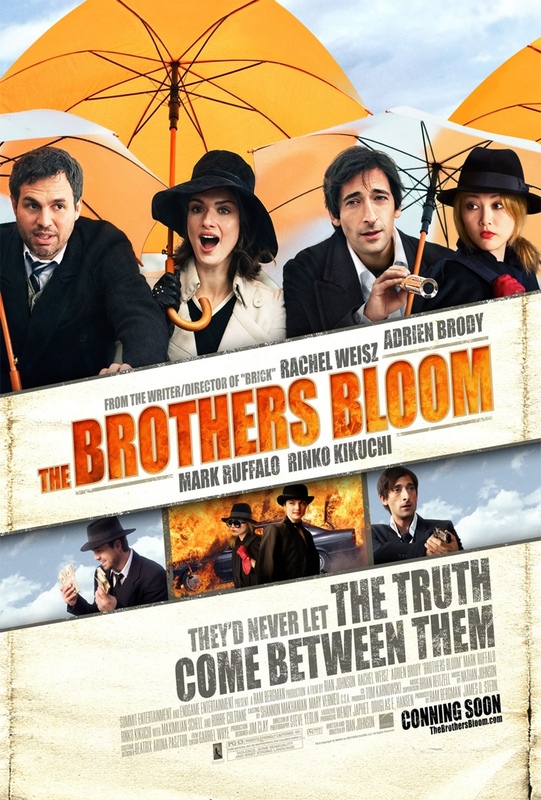 Stephen (Mark Ruffalo) and younger sibling Bloom (Adrien Brody) are a couple of con-men who criss cross the globe shafting the unwary. Their latest mark, however, is something new: wealthy recluse Penelope (Rachel Weisz) who, having spent her life mastering a miscellany of random skills (break dancing, banjo plucking, juggling chainsaws), is only too happy to follow them and their mute munitions expert ‘Bang-Bang’ (Rinko Kikuchi) to Prague where a priceless antique is ripe for the taking. With this second feature it looks like Rian Johnson enjoys a good puzzling story. His debut was full of twists and turns and more than a nod or two to crime writers Dashiell Hammett and Raymond Chandler. This time he employs a subtext with nods to several classic literary novels and authors. The references are subtle but cleverly dropped into his tangled and intricate flim-flam story. Added to which are bags of visual flourishes and fine performances by the four leads. However, what is a strong and satisfying hustle soon becomes a bit too clever for it’s own good and as it draws to a close it ends up tying itself in knots. Leaving us with an unsatisfactory (and unnecessary) conclusion. Getting there is loads of fun though and Rian Johnson is shaping up to be a more than competent new director. Four fun, enjoyable and sharply dressed characters play out their scams in an impressive and stylish addition to the Bunco genre. It’s just a shame it cons itself out of a convincing ending. This entry was posted on February 2, 2012 at 11:22 am and is filed under Comedy, Drama, Romance with tags 2008. You can follow any responses to this entry through the RSS 2.0 feed. You can leave a response, or trackback from your own site.